Visiting Mt. Kilimanjaro is an experience you won’t forget. Besides being the tallest mountain in Africa, the scenic view is rare to find. 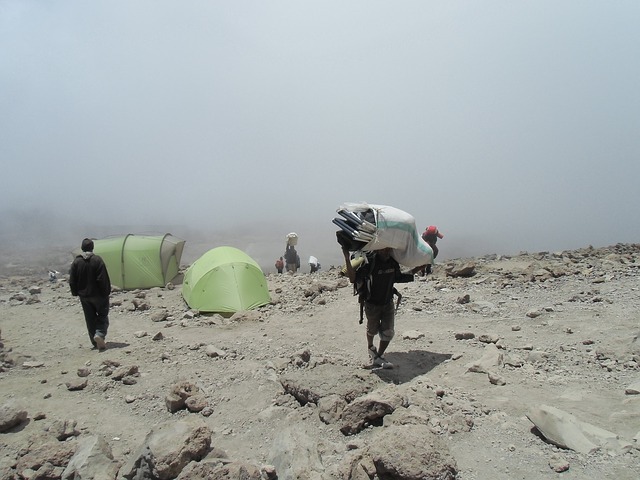 Have you been planning a visit to Mount Kilimanjaro but you do not know what to pack? Read on to find out what exactly you should pack for the trip. Regardless of the route you are going to take, the climb will not take less than 7 days. This means that you must pack light. You will spend most of the time walking mostly over uneven terrain. A pair of light boots that can really “take a beating” is just what you will need for the trek. To help keep your legs comfortable and protect them from injury, ensure you get well-fitting, waterproof boots with a good grip underneath. Also important to note, there should be some play-space for your toes. Rather than wearing one thick layer, it’s better to dress in multiple thin layers. This traps air in between the layers of clothes leaving you warmer in cold weather. It will also be easier to take off some layers when the weather gets warmer. You should ensure that the lower layers are not cotton because it will make you sweat more. The moisture will cause you to be colder. Jeans might seem like a good choice for climbing Kilimanjaro but rest assured it’s not. Jeans get wet faster and they do not lose moisture fast. Go for something more resilient like some trekking pants. For higher altitudes, you will also need something heavier to add on top. You can decide to wear shorts for the warmer, lower altitudes. Extra clothing, not a good idea! Unless you want a kit full of dirty clothes, you will have to accept that fresh clothes for each day are not a must. Stock more on underwear than on regular clothing. Keeping in mind that it is less bulky, fresh underwear will actually give you that refreshment vibe that you need to push on. It is a bad idea to test out the clothes at the starting point. If you wear the outfit and it feels somehow heavy, it’s not a good choice. Only go for light, breathable, warm fabric. Do not forget the hats! If you happen to forget to get a sun hat, you will probably be the only one without a hat when the sun starts beating down and making you uncomfortable. Make sure you also get a warmer hat for the cold evenings. If you intend to reach the summit, you will definitely need gloves to protect your hands from the extreme cold.